Overview: The Omotic peoples are a cluster of people groups living between the lakes of the Great Rift Valley and the Omo River in southern Ethiopia. 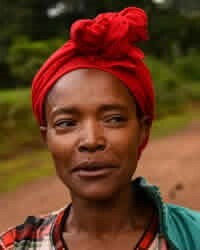 Most of the Omotic peoples are hoe cultivators, raising ensete (a tropical plant in the banana family) at higher altitudes and other grains in the lowlands. They are also known for their animal husbandry and their skill as artisans.